This lets you use the exact same data reports and dashboards for your various permission groups, keeping navigation through your various reports simple while improving data security for your organization. Simplify and improve data security across your company, despite sharing the exact same Holistics dashboards and reports for your various teams and countries. Our permissions system allows you to reduce duplication efforts of reports for security reasons, while still controlling access and permissions for users, such as by limiting country filter options that can be selected by country managers in different offices, or allowing sales departments to only view revenue data and not cost data on the same charts used by the finance department. Gain unprecedented control over your SQL queries to restrict access, using Holistics’ custom permission syntax and security variables. Customize your filter permissions and available options based on groups you set, using our custom security variables inside your SQL queries. 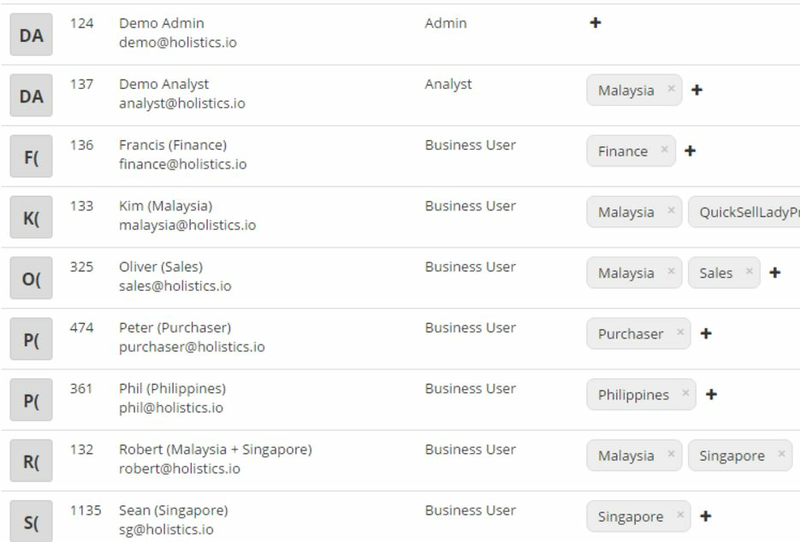 Set the actions that your users can perform on the Holistics platform, based on the three possible Holistics platform roles of Admin, Analyst and Business Users. Admins can manage the settings for users, reports, dashboards, billing and more. Analysts can create and edit reports and dashboards, but not manage users or connect new data sources. Business Users are only able to view the reports and dashboards that are shared with them. Create groups to organize your data users: As the Holistics admin for your company, you can create groups for your company, based upon the access and restrictions you want to grant to the various groups. Examples of groups can be by geographical teams (e.g. Vietnam, Singapore, Indonesia) or departments (e.g. Sales, Product, Marketing, Management) and more. Set the groups that your various users should belong to. Users can belong to multiple groups. 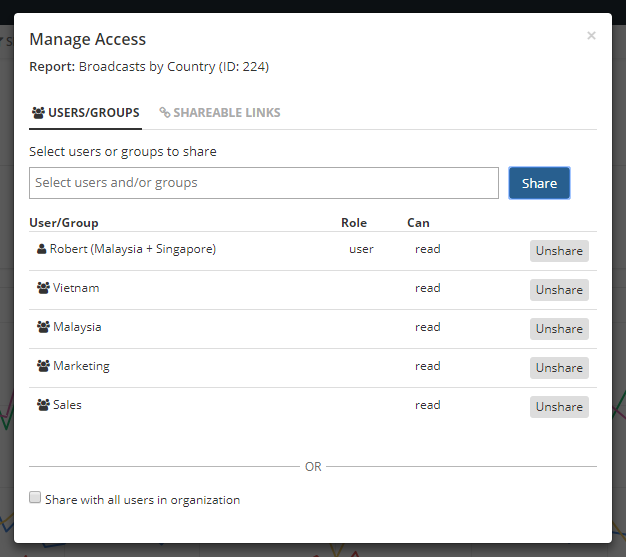 Set permissions for your reports, dashboards and data sources: You can share reports, dashboards, folders, objects and data sources to specific users and groups. This will restrict their access and views when they attempt to examine these resources. Gain enterprise grade data access security control capabilities: Holistics makes it easy for you to set up data security without the need to create and maintain different database user accounts on your backend infrastructure. Coupled with our custom permissions syntax for your SQL queries, you will have both flexibility and security for your data reporting needs ready at your company’s disposal! You can find more information on how our data access permissions system works here. Get enterprise grade security features for your data, with Data Access Permissions now! Sign up for a free trial to add enterprise grade data access permissions to your company’s data capabilities now! Our Data Access Permissions is another example of how the Holistics Data Platform enables your team to securely and easily work with data, for fast-growing tech-driven companies.